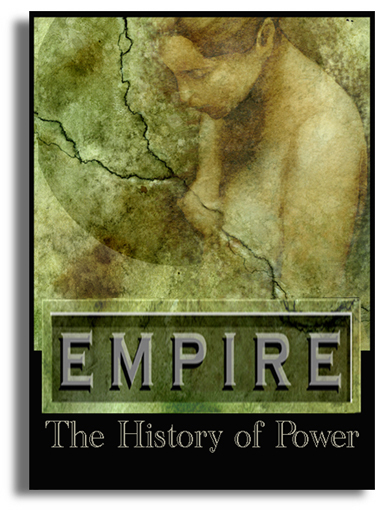 Interesting, that you'd show a woman when illustrating a book about "power". But you're right, it is interesting and unusual. The bowed or pensive head tilt, the closed eyes. Is she the victim of power or its wielder? Both? The stains, the crack cutting through her breasts. A lot can be read into this. Thanks for the thoughtful feedback. I was shooting for an evocative visual that suggested time and subjugation: yet, contain a certain wistful beauty that suggested the allure of power. Wonder how much "history" is the result of 'the little head, thinking for the big head?'. This page contains a single entry from the blog posted on June 16, 2010 7:31 PM.